The European Union will allot 370 million euros next year to help member states protect their borders, a 37 percent increase over 2011, the European Commission said on Friday. The additional 100 million euros will help the EU’s 27 member states cope with the thousands of refugees that arrived on European shores fleeing political turmoil in North Africa. 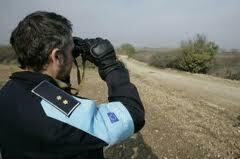 “The available support by the External Borders Fund will significantly increase in 2012. The proposed allocation is a concrete example of EU solidarity in action and will help enhancing border security and visa management”, said EU Home Commissioner Cecilia Malmstrom. Italy and Malta, which have received thousands of refugees from nearby Tunisia and Libya, will get the biggest increases. Italy will receive 52 million euros, an increase of 20 million. Malta will receive 15 million euros, more than five times as much as the tiny island state received this year. Cyprus, Greece, France and Spain will also receive more funding next year to help address the recent spike in migration. In June, EU leaders responded to the increased pressure on their countries’ borders by proposing to tighten rules, allowing countries to reimpose internal EU border checks if any member state failed to sufficiently protect its own borders.